Everything in this section naturally provides the kind of strength you need when sending goods overseas. These extra strong double layer boxes have that in abundance, but also provide the flexibility of telescopic boxes, with a separate base and lid giving as much as over 500mm worth of variation in the height of the finished box. 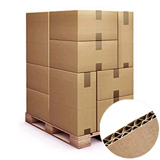 And where the lid does slide over the base, you’re also essentially getting a quadruple walled carton, with all the strength and rigidity that entails – which could be crucial when it’s stacked on a pallet. 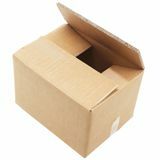 Made from 150KTBC corrugated cardboard in our own factory, these extra strong double layer boxes come with a guarantee of strength and reliability. We can usually dispatch them to you within 24 hours of you placing your order, and you can save up to 30% on your larger orders – no vouchers or codes, just extra value automatically added at checkout.